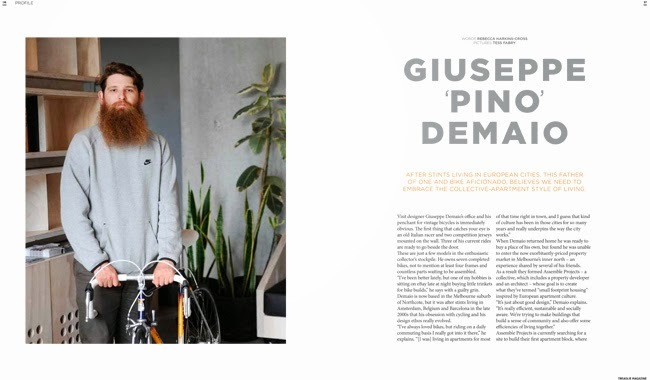 Its no secret that I love bicycles but long past are the days when I'd buy magazines to drool over the latest, lightest and fastest bikes on the market. These days I'm more sedate, I'm less interested in speed and more interested in style. 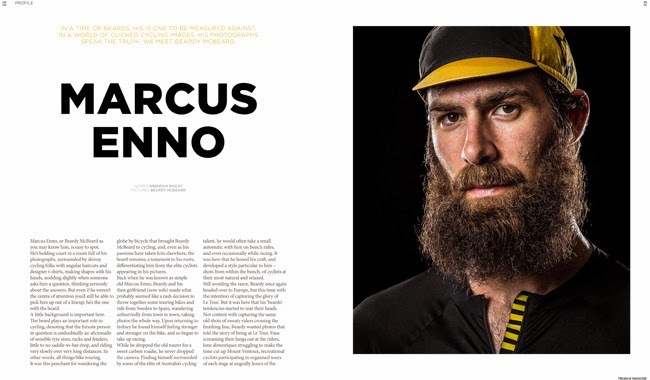 I like to read about people who ride bicycles, real people, not elite athletes. 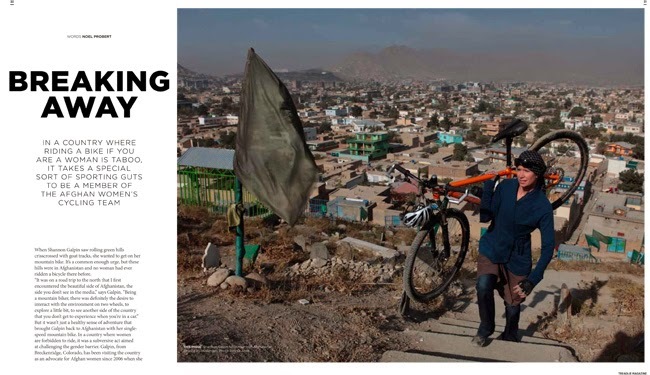 I draw inspiration from reading about how people have turned their passion for bicycles into thriving businesses, I love learning about the innovative ways in which bicycles are being used, and how bicycles are becoming an essential form of transport for millions in cities around the world. I enjoy stories about how the bicycle has influenced people who do not necessarily consider themselves "cyclists" such as artists, photographers, designers and performers. Surely there is no magazine that caters to my tastes. 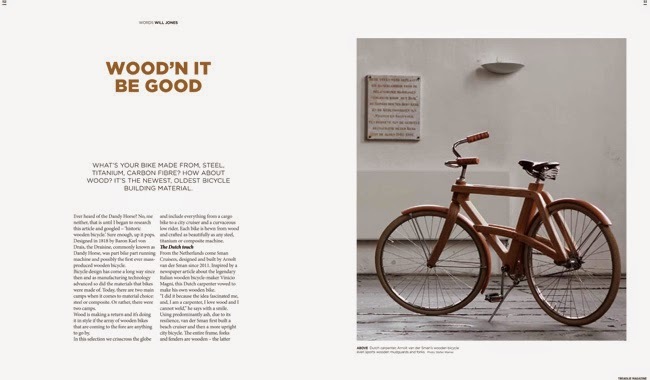 A magazine is for bike lovers, would be bike lovers and those that appreciate great bike design – a magazine devoted to culture, fashion and design. I actually pulled that description from the Treadlie homepage after I wrote the first two paragraphs, and while my writing was much more wordy, what I want from a magazine and what Treadlie provides is an uncanny match. Treadlie is one of those rare magazines that I read from cover to cover rather that flipping backwards and forwards cherry picking the most interesting looking articles. 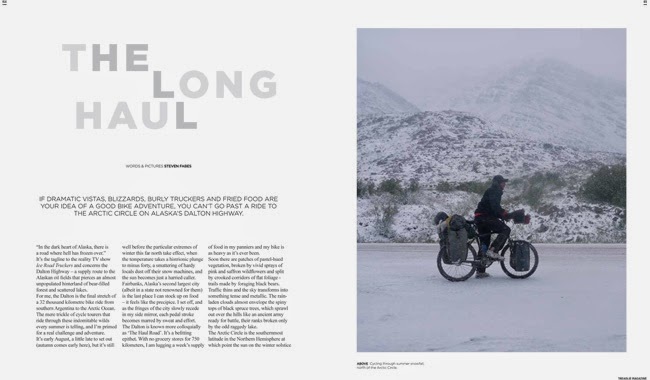 All articles in Treadlie are of equally high quality as is the photography so that reading from cover to cover makes perfect sense ensures you don't miss a single word or amazing photograph. 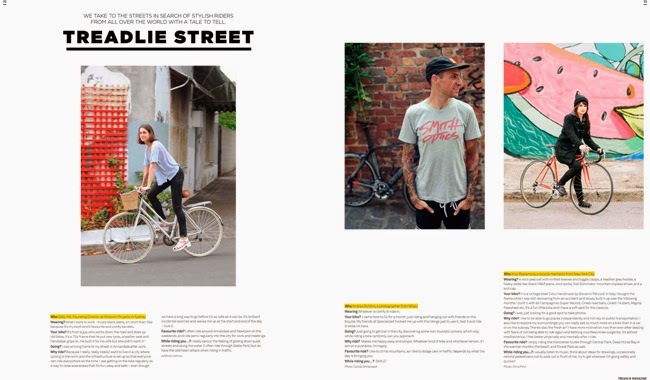 While Treadlie is published in Melbourne it is certainly not Australia centric. 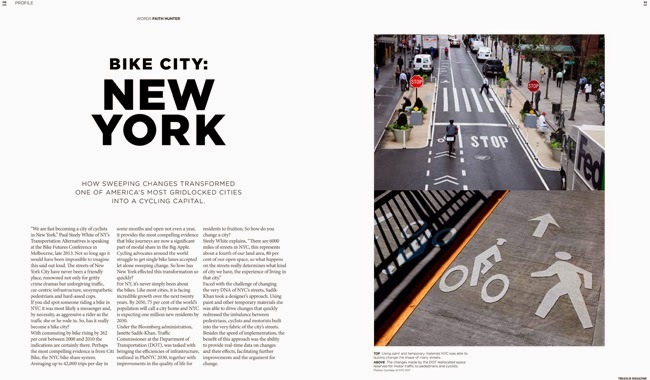 New York, London, Paris, Tokyo, cities from around the world get equal coverage in Treadlie. To get the magazine to as many people at the lowest price possible you can now subscribe to Treadlie on your iPad and Kindle. Of course if you prefer a good old fashioned paper copy of Treadlie you can subscribe here. I'm sure if you're a regular reader of Tokyo By Bike you'll thoroughly enjoy Treadlie and I encourage you to subscribe.